1 At the Grand Mosque, U.S. 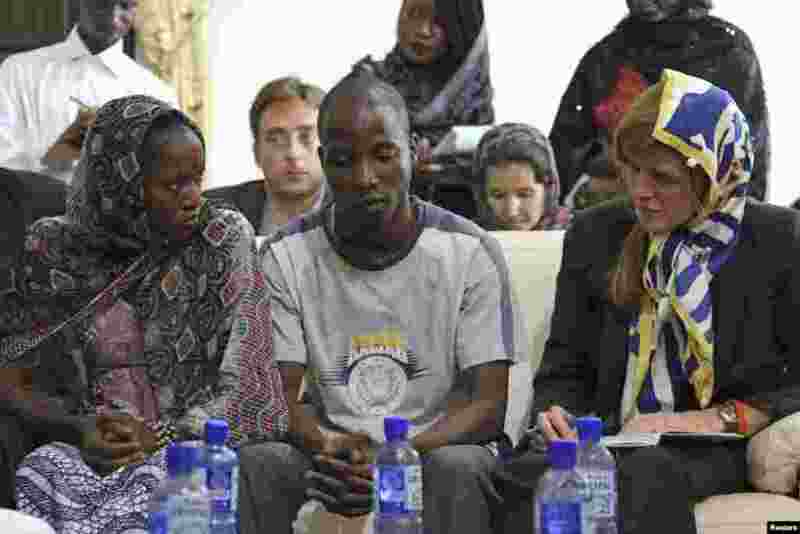 Ambassador to the United Nations Samantha Power meets with Ebola survivors Fanta Oulen Camara, 24, left, and Dr. Oulare Bakary, 30, center, in Conakry, Guinea Oct. 26, 2014. 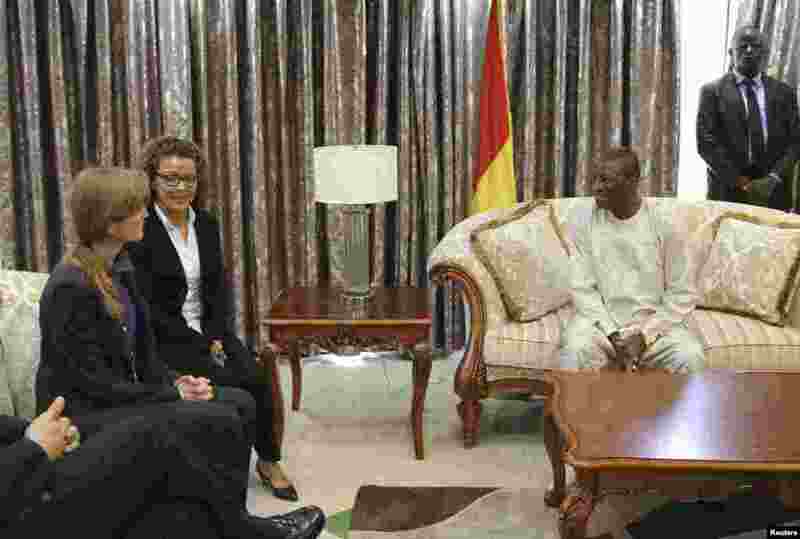 2 Samantha Power meets with Guinea President Alpha Conde in Conakry, Oct. 26, 2014. 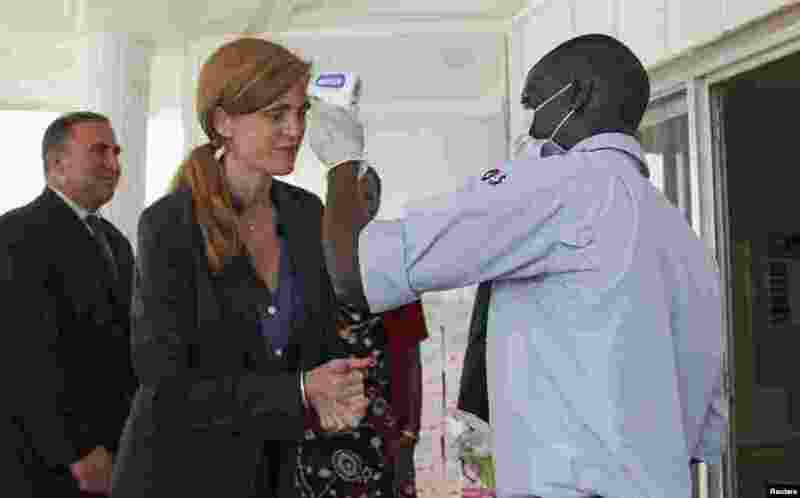 3 Samantha Power sanitizes her hands and has her temperature taken at the Guinea headquarters for the United Nations Ebola response mission, known as UNMEER, in Conakry, Guinea, Oct. 26, 2014. 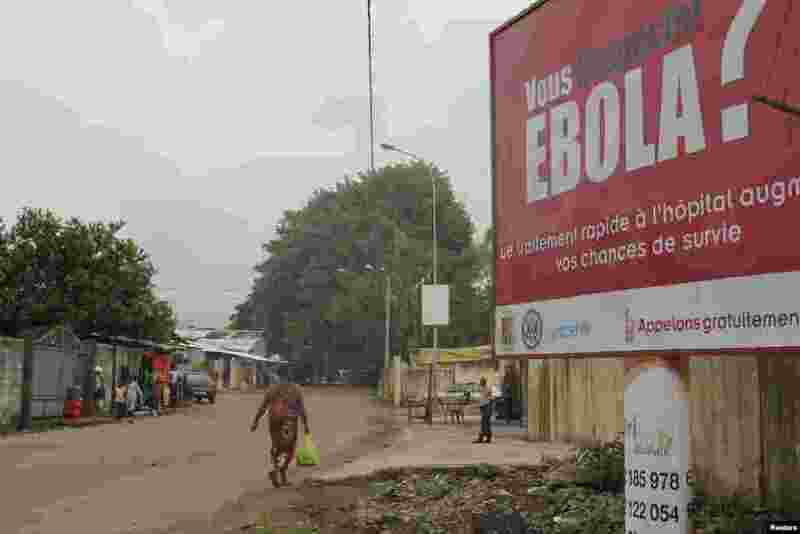 4 A billboard with a message about Ebola is seen on a street in Conakry, Guinea Oct. 26, 2014.